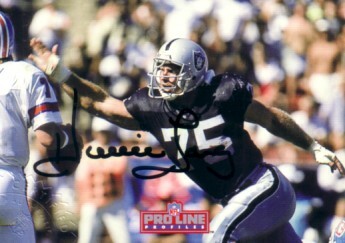 1992 Pro Line Profiles certified autograph card of Raiders Hall of Famer Howie Long. Embossed with the NFL seal of authenticity. With certificate of authenticity from AutographsForSale.com. ONLY ONE AVAILABLE FOR SALE.